I turned the page on the calendar and can't believe it's February already. Hello February, welcome to 2016. 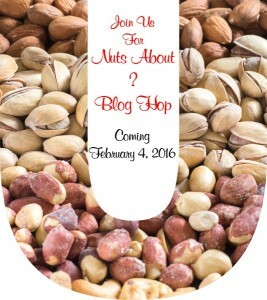 Tomorrow starts the Nuts About... Blog Hop. It's hosted by Marian at Seams To Be Sew and is sponsored by the Fat Quarter Shop and AnyPattern. There are 21 bloggers that will be posting about what they are Nuts About... and there are giveaways to win. Here is the line up of Nutty Bloggers. For a change, I have my project completed already and am working on the blog post. Usually I'm a last minute gal. Would you like a sneak peak of what I'm doing? Any guesses on what it might be? You'll have to come back and see on February 9th. And speaking of being Nuts About... something. I'm nuts about the In Our Garden blog hop that's going on right now. The first set of patterns has been posted. You have to go see them. 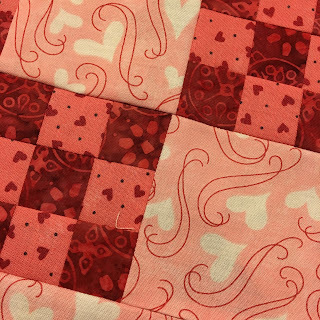 Amy at Sew Incredibly Crazy is hosting this awesome blog hop and her blocks this month are just too cute! Go check them out here. Oh, and there are giveaways there too! My month is April. I can't wait to show you what I've designed!